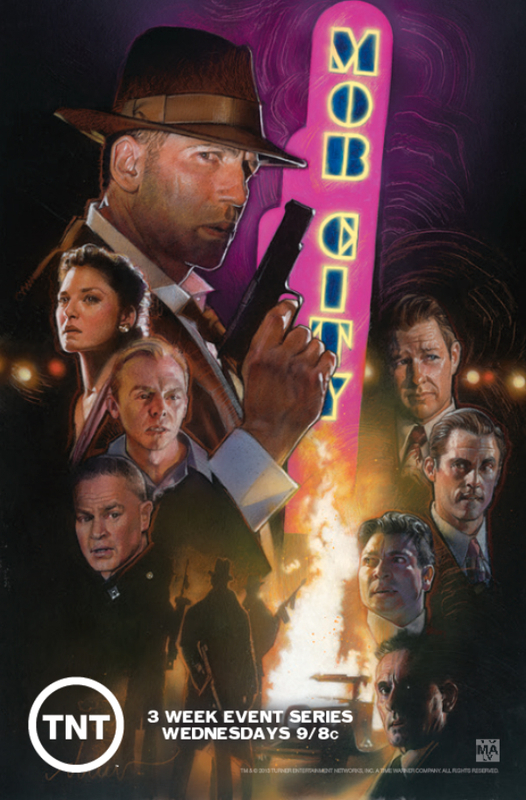 Not to insult the talented artists who crafted the previous posters but Struzan's portrait, shared by the Mob City twitter account, sort of puts them to shame. 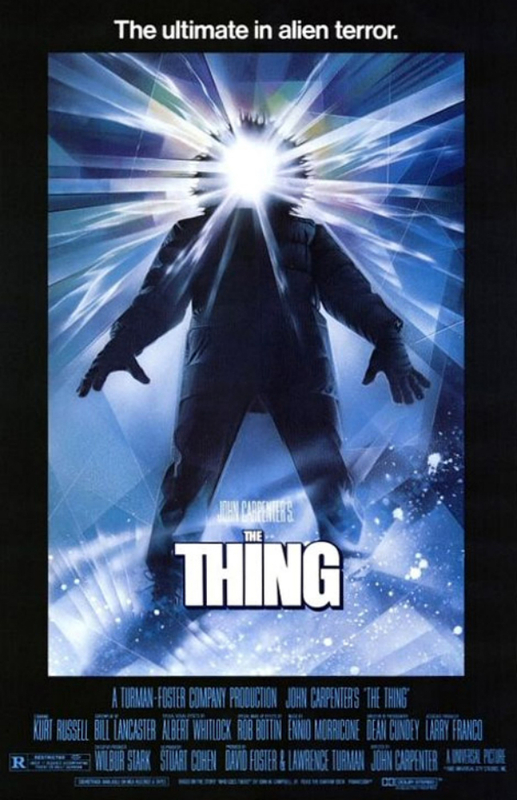 Hell, I bet they'd be flattered to even be mentioned in the same sentence as the man behind many iconic one-sheets like the ones for Blade Runner, Back to the Future, Indiana Jones (Raiders, Doom and Crusade) and, of course, the entire Star Wars saga. 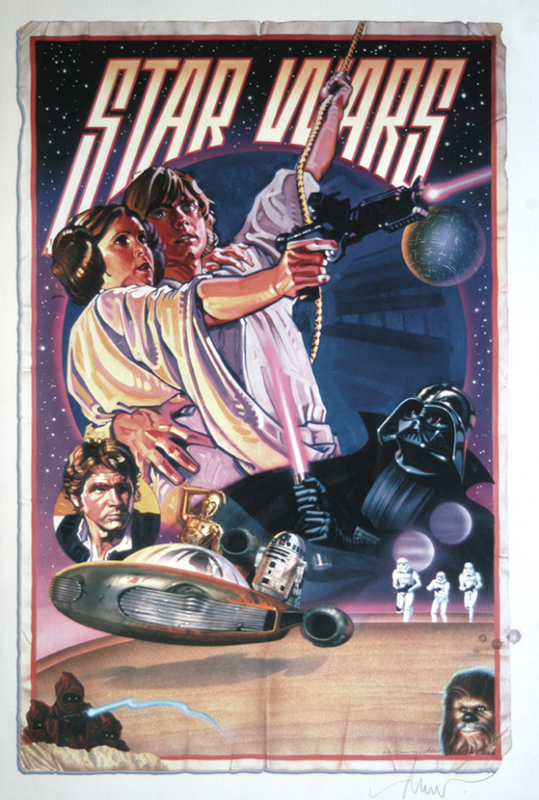 This famous piece, known as the 'Circus Poster,' marked Struzan's first major film print and began his long working relationship with Lucas Film. Sadly, he won't be working on J.J. Abrams' Star Wars because, well, why would you want something that looks this good? Enough about Abrams and the endless Star Wars Episode VII rumors, let's get back to Frank Darabont's first post-The Walking Dead project. Based on the true-crime novel "L.A. Noir: The Struggle for the Soul of America's Most Seductive City" by John Buntin, the period piece features an all-star cast that includes Jon Bernthal, Milo Ventimiglia, Alexa Davalos, Neal McDonough, Robert Knepper, Jeremy Luke and Ed Burns. Oh, and of course, Jeffrey DeMunn, the writer-director's lucky charm, also shows up for a guest spot as does (speaking of Abrams) Star Trek star Simon Pegg. Mob City, formerly known as L.A. Noir (until the similarly titled video game came along) and Lost Angels, tells the true story of the battle between the L.A.P.D. and Mickey Cohen's criminal operation. The 'decades-long' conflict will be covered in just three weeks, with the six episode event airing two installments a night on Wednesdays starting December 4. The crime drama covers more time than I expected as it's set in 1940s and 50s Los Angeles but something tells me, perhaps this foreboding 'City of Angels' spot, that not all of the characters are going to last that long. "It is a world of glamorous movie stars, powerful studio heads, returning war heroes, a powerful and corrupt police force, and an even more dangerous criminal network..."